Laakhon Aasman | Anurag Dixit | OK Listen! 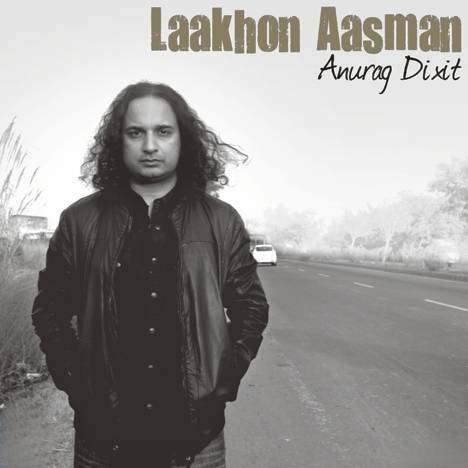 Laakhon Aasman is the brand new album by one of the most popular pop musicians in India, ANURAG DIXIT. In this follow up to his best-seller, 4 times award nominee album 'Sounds Gr8', the singer-songwriter-composer has compiled 11 songs which talk about issues every Indian can relate to. The highlight of the album, a duet with Pakistani Rockstar Faiza Mujahid- ‘Baatein ho chuki’ is a rock ballad which speaks about every Indian’s frustration with the development of relations with Pakistan. ‘Khalbali’, another song in the album is a warning message for the corrupt people in our country who think that they are above all the law and order. The song strongly states that the time has finally come when Indian people, specially youth are awakened. The opening single ‘Baat baton mein’ is a a Bob Dylanesque Folk- pop ballad, which is a sarcastic comment on the degradation of human values in modern times. The album features similar other numbers which address different social & political issues of our times. In the album Laakhon Aasman, Anurag has written, composed and sung 11 songs which are entirely produced in a real, organic environment. Without the use of any computer programming or vocal auto-tuning, the songs are recorded in real 'live' situation and talk about 'real' issues. "I write thought- provoking lyrics on issues which people can relate to and I believe that people actually want to listen to this kind of music" says Anurag. "It's not the kind of music you can dance to on a weekend; this is some real stuff- for some reality check!"